Hot carbs never looked so good. Potatoes. Everybody loves 'em, especially when they're fried, heavily salted and served with tomato sauce (if you're partial to it). 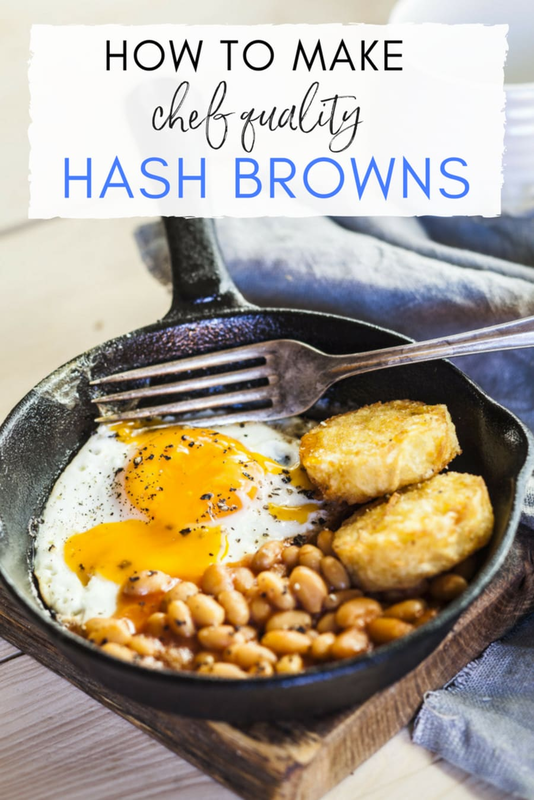 A solid case in point are hash browns, which we Australians are pretty obsessed with -- either on their own or alongside a big brekkie or burger. The next time you have a hankering for hash browns, get out the potatoes and make your own. It's easy (you only need five ingredients) and the result is delicious. But first, remember these chef tips. "The key to a good rosti is squeezing as much water out of the potatoes as possible and using a floury potato," Ben Varela, executive chef at Public House Management Group, told HuffPost Australia. Floury potato varieties include Atlantic, Desiree, Coliban, Dutch Cream and Harmony. 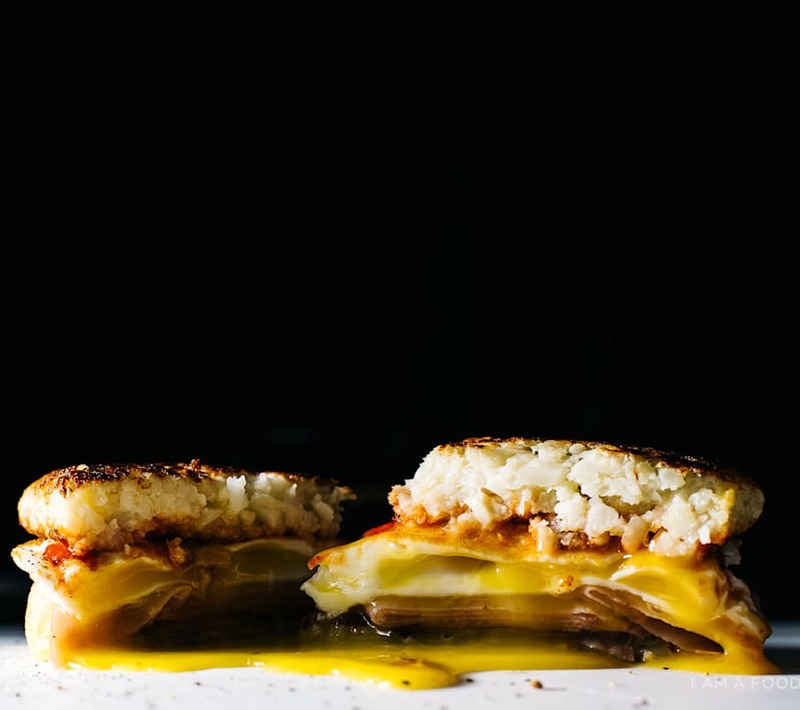 I Am A Food Blog's hash brown breakfast sandwich is swoonworthy. Recipe below. And there's another chef secret to making the best hash browns at home: using duck fat to fry them. "Duck fat gives you a great flavour, but you can use a grape seed or vegetable oil," Varela said. "You can serve it with classic bacon and eggs, or smoked salmon and crème fraîche. Also, they're really lovely with some poached eggs, fresh herbs, mixed leaves and a vinaigrette." Hash browns are also the perfect base for crispy hash brown haystacks, or you could sub the potato and make a cauliflower hash brown breakfast sandwich for a low carb option. For the rosti, grate the potatoes coarsely into a clean tea towel. Forming a ball around the potatoes, wring the tea towel and squeeze as much water out of the potatoes as possible. Transfer potatoes to a bowl and season the mixture with sea salt, pepper and parsley. Heat your fry pan and add a some of your duck fat and some of your oil -- enough to cover your fry pan. Place an egg ring onto the pan and fill with some potato mixture. Shape the rosti by pushing the mixture down into the egg ring with the back of a spoon until compact. Fry the rosti for three minutes on each side until golden on the outside and soft and tender on the inside. Add more duck fat and oil if required. Place on paper towel to remove excess oil. Repeat with the remaining potato mixture. Season and serve.